Usually, when a band has a break for life reasons, they do seem to have a knack of not quite being the same when they return to our ears. 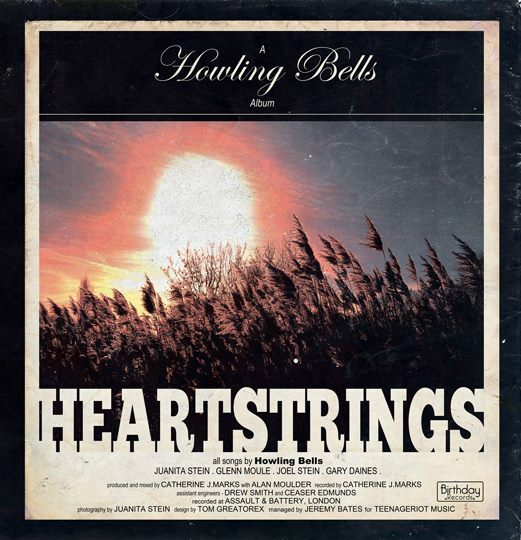 Howling Bells have had their fair share of ups and downs, what with motherhood, band members leaving and all sorts you would think that their new album "Heartstrings" may well be a far fling from their more usual repertoire of minor chord induced and trippingly powerful indie rock. 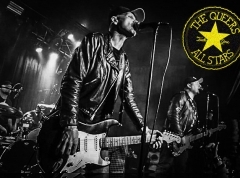 I have to admit to only hearing of them just recently, but it was their back catalogue that drew me towards them. As soon as I hear "Paris" on this new record I let my heart go back to a bygone era with an almost Embrace like guitar riff, which is so sweetly accentuated with Juanita Stein's haunting vocals. She is one of the main draws to the band at the best of times, but what makes this as good is that it is just potent enough to set you into the album, rather than overdoing it and leaving you disappointed near the end because all the good stuff has gone already. What truly fascinates me about them though is that when you're my age you can swear there are bits of so many accomplished artists and bands rich in their blood; and it just keeps you listening. "Possessed" is a little more like what you expect from the group. Some sordidly distorted guitars in the verses and some almost Echobelly-esque singing again keep you captivated. There is an eerie distance created and that only helps to add to some atmospheric styling that appears throughout the album, all to good effect. "Your Love" is probably the only one that doesn't seem to grab me as much as the others. I don't know if it just feels a little left out compared to the rest, but something seems to lack in this one compared to the others. A fair bit of chorus repetition doesn't help; it has to be said, with either "Your Love" or "I Love" being more or less all you get. I think it could be that it may be a little too cheery for such an album that prides itself on such excitable chord changes. The pre-released track, "Slowdown" does pack a hefty punch and is a joy to listen to. 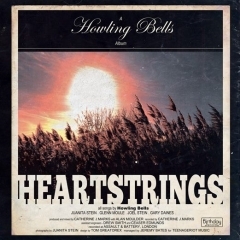 It ticks all the boxes you would want for a Howling Bells song and this also includes some nice, haunting melodic work during the chorus and even in the fill towards the end. It's a really good soundbite of what you want to hear, not to mention the bass is just so lovely. "Tornado" is a very interesting proposition. It has such a lean towards a western musical that it could have a Calamity Jane cameo, but it does have enough life to it to keep it interesting enough, as well as having that occasional injection of minor, which really does make a difference in this album. Now for the major surprise, which is my favourite track on the album is a ballad. "Euphoria" is simply a wonderful song and I could listen to this a hell of a lot, in such a way that I don't think I could have that overkill moment where you sicken yourself off it due to hearing it way too often. It has leanings towards Goldfrapp, Air and other bands of that area and it is just truly stunning. The rest of the album isn't that bad either to be honest. "Paper Heart" is also a slightly less powerful track, but I do think situating them in the middle of the album works very well. The fact that they aren’t what you’re expecting can divide people, in that one set don’t want things changed, but others think it is a good show of diversity. In this instance, the latter is my own opinion. “Original Sin” goes strongly back to their roots and is a tour de force in exactly what Howling Bells are normally about. It is a strong, powerful, meaty track with enough sass to stand on its own. Mind you, “Reverie” isn’t too far away from that benchmark either, especially in the chorus section where it sweeps you away at all the right times and in all the right places. At the end is the album title track and “Heartstrings” is again another change of direction, but for some reason you’re happy with it there. It is almost like a winding down exercise after the overload of different band influences you’ve heard going through the rest of the record. What truly staggers me above all else is the sheer diversity of the album, as not a lot of bands can pull that off. You normally end up with a few songs that when they go off the beaten track usually end up mauled by a rabid dog and left in a ditch somewhere. That does not happen here and what you are left with is not so much a reinvention of a band, more like a reinvigoration. Sure, life has come in and changed their own paths, but the path their music is going now seems more refined for it and the balance to their lives also seems to be echoing in their music. It is an essential purchase, if only just to show how it CAN be done.